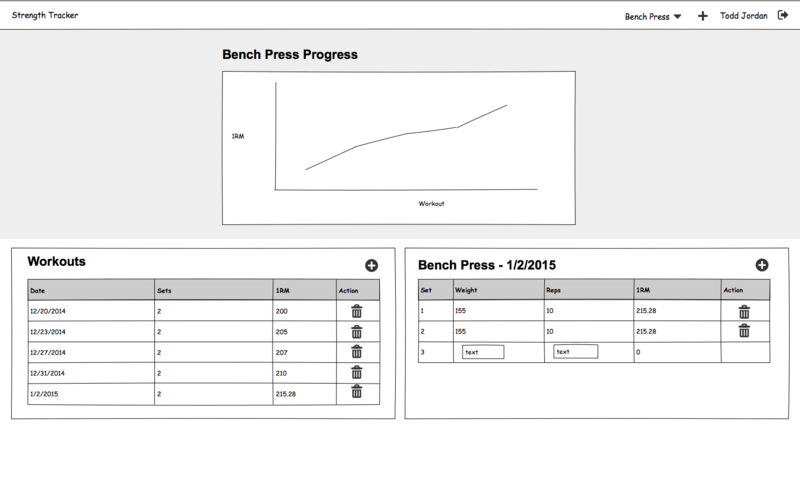 Essentially my plan for the first app is to develop what I've been doing during my workouts through Google Docs: Track weight and repetitions and track progress over time. I'll do this through calculating 1 rep max, or calculating straight repetitions for things like pull-ups and dips. Its going to be visual so I can keep motivated, so I'll incorporate charts to view progress. When I'm done I'll deploy it so somewhere like heroku and it can be a free service to anyone that want's to try it out.